NIT: def. South Dakota State, 79-73 (first round); def. Xavier, 78-76 (round of 16); def. Colorado, 68-55 (round of 8); def. TCU, 58-44 (NIT Final Four); def. Lipscomb, 81-66. Seniors losing: G Kerwin Roach II (15.1 ppg, 4.4 rpg, 100 assists, 36 steals), F Dylan Osetkowski (11.1 ppg, 7.2 rpg, 49 steals). Any NBA Bound? : Roach’s scoring ability will interest NBA scouts. Don’t expect either player to be drafted. Both could draw Summer League invites. Any One-and-dones or early entries? : F Jaxson Hayes is on the Top 10 of several draft boards, but has not declared whether he will return for another season or head for the NBA. Top players returning: G Matt Coleman (9.8 ppg, team-leading 127 assists), G Jase Febres (8.9 ppg, team-leading 38.9 percent from 3-point), G Courtney Ramey (8.1 ppg, 3.3 rpg), F Jaxson Hayes (10.0 ppg, 5.0 rpg, team-leading 71 blocks), F Jericho Sims (4.2 ppg, 3.6 rpg). The player you don’t know about: F Gerald Liddell. The freshman played sparingly this season. Really, only when Texas needed him to due to injuries. 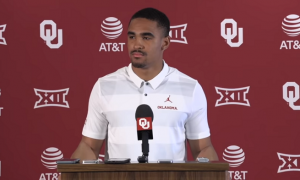 But he logged some time at the end of the season, starting with the Big 12 Tournament and into the NIT, where he got a taste of postseason action. He’s another of head coach Shaka Smart’s talented recruits from last year’s No. 2 class in the Big 12. Both 247Sports.com and ESPN.com considered him a Top 50 recruit coming out of Cibolo Steele High School in Texas. With that kind of talent, he can play for a spot in the forward rotation next season. Recruits already in the house: C Will Baker, 7-foot, 235 pounds, Westlake High School (Austin, Texas); F Kai Jones, 6-10, 205, Brewster Academy (Wolfeboro, N.H.); G Donovan Williams, 6-5, 180, Elkins HS (Missouri City, Texas). This recruiting class is sick. 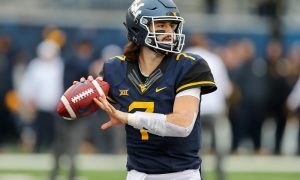 247Sports.com has it as the No. 1 class in the Big 12 and the No. 13 class in the nation. All three are Top 60 national recruits. Baker is the No. 2 recruit in Texas, Williams the No. 8 recruit in Texas and Jones the No. 3 recruit in New Hampshire. 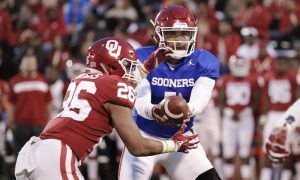 Baker has the game and frame to play immediately. Commitments yet to sign: The Longhorns don’t have any hard commitments at this time. Summarizing the season: Texas played a tough non-conference schedule but ended up with uneven results. The Longhorns beat North Carolina and Purdue, but lost to Radford and VCU (both of the latter games were in Austin). 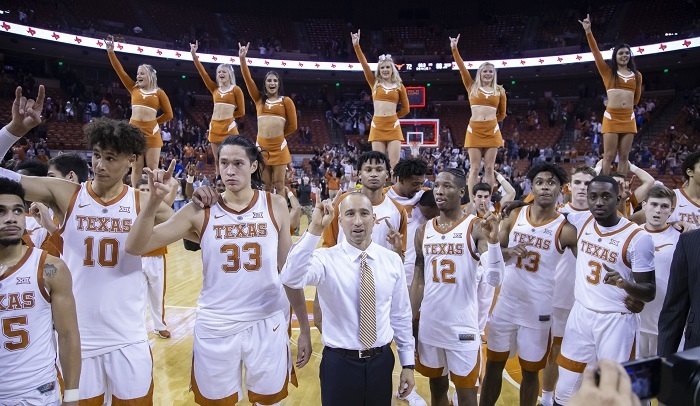 The Longhorns continued that unevenness all season, alternating between wins and losses in Big 12 play until they dropped out of both ESPN’s and CBSSports.com’s Bracketology completely in March. Sure enough, the Longhorns couldn’t beat Kansas in the Big 12 quarterfinals to enhance their case for the NCAAs and were left out. 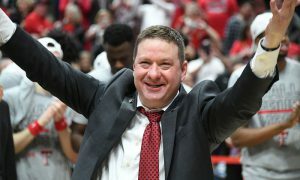 But Smart and his team made the most of the team’s NIT run, giving him five more games to work with his young, budding stars and to give Roach and Osetkowski some kind of a valedictory to end their careers. 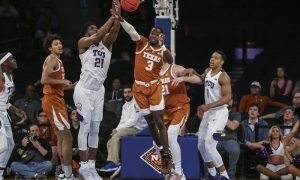 Roach admitted before the NIT final that his suspension in the final month probably cost the Longhorns a shot at the NCAAs, and he may be right. But that could have been a one-and-done for this team. In the long run, the long NIT run may do Smart and his returning players more good. Still, after four seasons, Texas fans are starting to look for more than basketball that’s just a bit better than .500. 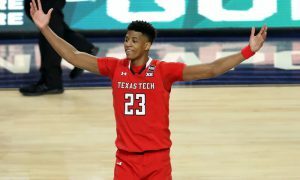 Looking ahead to 2019-20: Next year could be the year, even if Hayes chooses to move on to the NBA. The Longhorns returns a solid guard trio of Coleman, Febres and Ramey. Sims will get another shot at being the team’s top forward. Liddell, Kamaka Hepa, Elijah Mitrou-Long and Royce Hamm Jr. have a summer to grow and get better. And then there’s this incredible recruiting class. At least two of these players could hit the floor immediately. And if Hayes decides to come back, well, then the Longhorns could be loaded. And, of course, there is still Andrew Jones, who remains on scholarship and has one year of eligibility remaining. 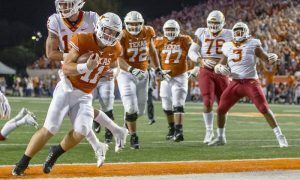 While it all looks good on paper, it also removes excuses for Smart to take this team to a higher level, something Longhorn fans are clamoring for. The NIT run helps shake off some of the disappointment of reaching the NCAA Tournament. But the NIT is meant to be a springboard for a better season to come. 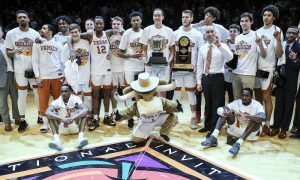 Texas brass will likely measure that by a return to the NCAA Tournament and an NCAA Tournament win, something Smart hasn’t done yet. Texas had its second 20-win season under Smart, but they needed to win four NIT games to accomplish it. Next season could be the year, or it could be make-or-break time for Smart.